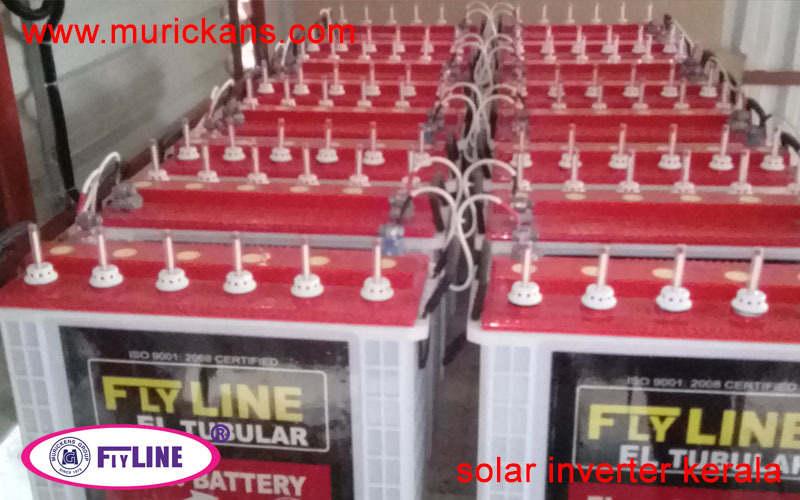 Flyline Tubular Batteries are widely used for uninterrupted supply of current. These batteries are assembled in hard rubber and plastic containers with all advanced protections. Murickens developed different kinds of batteries like tubular standard, heat-sealed EL or Inva tubular batteries. For solar inverter applications we prefer lead acid INVA tubular heat sealed batteries in C 10 series. They are more efficient to complete the charging discharging cycle common in solar systems.